EIA AEO shows U.S. CO2 emissions 1 billion metric tons below 2007 peak in 2050 | Watts Up With That? The Energy Information Administration (EIA) has released its 2019 Annual Energy Outlook (AEO) report for the U.S. showing that the nations year 2050 CO2 emissions will be just over 1 billion metric tons per year lower than its peak year 2007 CO2 emissions of 6.021 billion metric tons which retains and sustains the CO2 reductions achieved because of market driven increased use of natural gas while reducing coal fuel use. During this same time period the world’s developing nations are forecast to increase their CO2 emissions by more than 14.5 billion metric tons per year bringing their CO2 emissions levels to a total of about 6 times those of the U.S. The significant U.S. decrease in CO2 emissions since 2007 which is forecast to continue through 2050 is driven by the benefits of increased use of lower cost, higher efficiency and lower emissions natural gas brought about by extensive use of fracking technology with the accompanying continued decline in use of higher cost, lower efficiency and higher emissions coal fuel. The diagrams below provide U.S. energy use fuel components by both total and energy sector use. The world’s developing nations are forecast to account for about 91% of the world’s energy use growth to 2050 with the U.S. only accounting for about 1.5% of that growth. The climate alarmist propaganda campaign and its media supporters use deception, distortion and dishonesty to attempt to conceal from the public the unequivocal and indisputable fact that U.S. energy use and emissions performance are completely irrelevant to the huge global energy use and emissions growth that has occurred and will continue to occur in the future. The U.S. has clearly achieved the appropriate balance in both energy consumption and emissions to sustain a highly productive economy providing great benefits to its peoples while the developing nations proceed to explore and evolve what their appropriate energy, emissions and economic balance needs to be for the benefit of their peoples. Ridiculous demands by climate alarmist propagandists and media supporters that the U.S. must destroy its economy along with the accompanying present and future opportunities and benefits for its peoples by becoming a “zero” emissions nation are completely unsupported by valid global energy and emissions analysis and therefore absolutely idiotic. Did we see 2008 coming in 2005 ? Who know WTF will be going on in 30 years time. I doubt the current debt based banking system, corporate debt, insolvent USA will last that long, so the rest is anyone’s guess. IMO we will yearn for simpler times when biggest “existential threat” we could imagine was 2 degrees of warming in a few hundred years. Important info. Dovetails with Secretary Perry’s speech at CERAWeek. But even if the policy and science are phony, world economic development under socialist groupthink requires continuation of the hysteria in order to allow “just and fair” world economic development to proceed. Well according to the alarmists, if total global emissions aren’t reduced by 50% of 2010 levels, in 12 years, we all face certain calamity. According to this analysis these reduction targets will certainly not be met and in fact, total emissions will continue to rise. The difference now is that total fracking retards like AOC and Beto think it’s something new. They are depending on enough duped Millennials to think it is new. Every generation wants to think it is living in Extraordinary times. By extension then managing to cope equates then to also being somehow “exceptional.” Basic human psychology to try and find meaning to one’s personal experience of life. It’s why you hear the propaganda-alarmists trying to make Climate Change action the Millennials’ version of WW2 sacrifices and fighting for something they are being told is an existential threat. A good propagandists understands human behavior and psychology to manipulate for the desired outcome. They’ve been bombarded with the “Greatest Generation” of young adults from the 1940’s as that generation is now largely gone. All the sacrifices that had to be made, even at home with rationing, recycling drives, buying war bonds, going off to the factory to rivet airplanes and weld tanks and ships. The Millenials need to find their purpose. Their war. Their Fight for the Ages. Millennials have grown up in an Age of Abundance. What has ben hard for them so far? Nada. Now they feel hollow, just as the 60’s generation did with the new TVs, cars, and watching the Space program as the young tsunami-wave of engineering and science talent cultivated from WW2 became mature adults bringing all those things to them as children to teenage years. Socialism was always a part of the Climate Scam. Here at WUWT, we referred to the Green-Climate Change movement as watermelons. They were always “Red on the inside”, hiding their socialism, but it was there for anyone who cared to dig beneath the surface. Now with Bernie, Ayock, and Beto that green veneer has been stripped away and the Red Sickle and Hammer is on full display. The Green New Deal did to the Climate Trojan Horse what a Louisville slugger bat can do to a paper piñata filled with candy. In 1942, when the first scrap drives were organized, the war was far from won, and frightened civilians at all levels were anxious to do something, anything, to help. So campaigns were organized to collect not just metal and rubber but kitchen fat, newspapers, rags, and so on. These drives were extremely successful — millions of tons of material were collected. It was only afterward, contemplating the assembled mounds of junk, that those in charge of the war effort asked themselves: What are we going to do with all this crap? World War II shortages weren’t just home-front propaganda. Japanese conquests in Malaya and the Dutch East Indies cut off access to natural rubber supplies. President Roosevelt urged Americans to turn in “old tires, old rubber raincoats, old garden hose, rubber shoes, bathing caps, gloves,” and so on at their local service stations. Just one problem: there wasn’t (and still isn’t) an efficient way of recycling rubber products. Rubber’s complex chemistry and the variety of formulations in use made recycling slow and expensive and the resultant material inferior to virgin rubber. Although the rubber recycling industry did produce a fair amount of material throughout the war, the rubber scrap drive didn’t significantly boost its output. The real solution to the rubber shortage was development of synthetic rubber and conservation — gas rationing was primarily meant to save tires, not gas. Many of the other materials collected couldn’t readily be recycled either. Many who lived through the war remember collecting old newspapers, but apart from using them as packing material and such there was little to be done with them. A 1941 aluminum-scrap drive to help the plucky Brits pulled in 70,000 tons of aluminum pots and pans, but only virgin aluminum could be used to manufacture aircraft. Iron and steel were a different story. These metals could be easily melted down and used for munitions. It’s not as if the U.S. lacked domestic sources of iron ore, though. This is totally absurd. MAkig estimations with blinders on. Nuclear technology with the aadvent of molten salt and thorium reactors will sweep the generations sector and completely invalidate ny estimates that do not predict same. Clearly it’s more absurd than predicting the sudden evolution of unicorns. The Unicorn is actually our company’s mascot. David your postings and articles are always remarkable. You’ve used 10^42 several times in your sarc comments. Is there anything significant about that exponential number? Just curious? 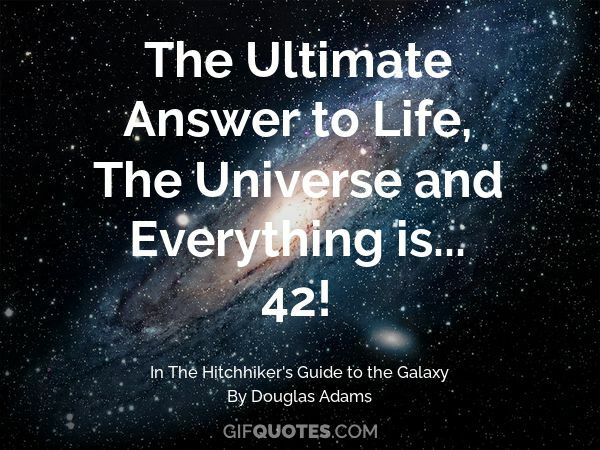 Carbon Bigfoot: Look up the works of Douglas Adams and get reading. Kent, I wish it were so. 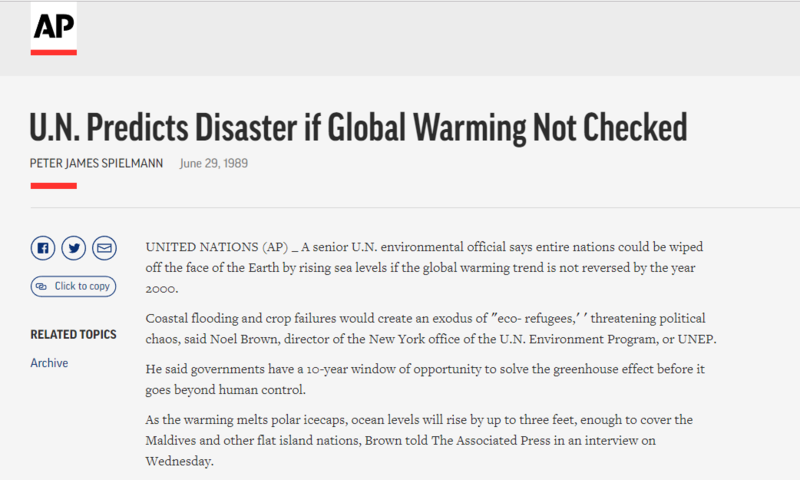 But that prediction is older than the UN’s prediction going back 30 years that we have only 10 years to save the planet. Our children are taught that any form of nuclear will destroy the planet faster than CAGW. Adults have been pounded with that message, and even many with a STEM degree have bought that argument. What is going to change in the next 30 years with more stories of the millions who died from Chernobyl, the tens of thousands who died from Fukushima, and the disaster of Three Mile Island? It is easier for me to believe in unicorns than that the American public will change the beliefs that were pounded into them from school and the MSM. What happened to the consensus-saviors of the planet?- (windmills and panels). Natural gas brought about by extensive use of fracking technology reveals the truth. This will surely be headline news. Not. They never talk about soil carbon sequestration potential. The US has ~300 billion hectares (~750 million acres) of agricultural land (crop + range land). Just 2 weeks ago a ranch in Australia earned carbon credits for sequestering 11.2 tonnes/hectare/year of CO2e. If 100% of US agricultural land did similar, we would eliminate 50% of our net CO2 emissions while at the same time increasing the health of the soil and the yields per acre. There’s a major problem. If all 5 billion hectares of global agricultural land pulled down 11.2 tonnes CO2e / hectare / year, the soil health would be able to improve globally for several decades, but at some point well before 2100 CO2 levels would be back down to 290PPM and globally C3 vegetation will once again be in a near starvation situation. In to losing decades it might be humans in near starvation mode! Then we’d just have to burn more coal! George, why would you want to sequester atmospheric CO2 when there currently is a deficit against the concentration range for optimum grow of C3 plants (about 95% of all land plants on Earth)? And when there is no scientific proof (just elementary theory) that the current atmospheric CO2 level has any significant “forcing” on Earth’s very complex, multivariable global climate. The globe is in a farm land crisis due to falling levels of carbon. Farmers/ranchers globally are aggressively trying to figure out how to pull down CO2 not for the benefit of the atmosphere, but for the benefit of their soil. Meanwhile, NASA says that satellite observations show the Earth is greening significantly due to global atmospheric CO2 levels having risen continuously (12 month average) from around 320 ppm (ca 1960) to around 410 ppm (ca 2019). Has the soil very recently stopped using CO2 from the atmosphere? The good old Democrat Sponsored Financial Depression due to the imploding Housing bubble. There’s your real drop. Thank you very much…. Working on the weekend ugh. A serious examination of any set of facts about climate is the very last thing the alarmists want. This site and the good people here are dedicated to having that discussion any way. We deny their self-given right to bamboozle us into poverty or a loss of our freedom to speak. And that isn’t going to change. This post makes the case for the red team blue team approach that we are attempting to set up on the NSC determination that climate change is a serious national security threat to the US. It isn’t and the junk information in the report stating it is will be easy to refute. They are banking on bamboozling the Millennials. So far they seem to being a pretty good job if Ayock’s popularity with them is any indication. They are already telling them dark stories of their future and just to accept the misery of deprivation they want to impose. It’s what Malthusian-Marxist-elites have to do. They see the world and economics as a zero-sum game. And they want it all for themselves and their children, not yours. And especially not in the poorest parts of Africa or Asia. Oh, finally I get it: Ayock = AOC = You know who. If we look at CO2 emissions per unit of GDP the reduction looks even more impressive. This is essentially the game the developing countries played for the Paris Accord. Good article, Larry. This is the type of info that needs to make it into the MSM (somehow). This stuff will likely be front and center in deliberations of the new “climate and national security” group that Trump has created. the self confidence to change their minds. There’s some really lazy thinking and doing about coal isn’t there. 2) Take the coke you’ve made in the gassifier and burn that in a forced draught. Blacksmith’s forge? Add extra oxygen (or any old NOx – available free from most modern city-centres these days) to make things REALLY hot & hairy. PS. Always remember Carnot when calculating the GHGE – there is NEVER *just* 2 bodies in splendid isolation exchanging energy – there is ALWAYS an ‘exhaust’ = a third body that takes a much bigger cut than anybody wants to imagine – but is very difficult to ‘place’ or visualise. One of the hazards of having a big brane of course – and who HASN’T these days? Maybe the gassifying process is really hungry – how or where do you find out……. You know how to identify when a report is full of beans? Its when ALL of its forward projections show a kind of function-smoothness which is in no way reflected in thei historical statistics of actual demand (and consumption) “behind now”. For instance, the COAL curve is positively laughable. Seriously? With the rapid rise of coal consumption in the US in the 1990s, then the rapid (arguably precipitous) decline until 2018, it is for reasons ungiven going to now just kind of flatten out where it presently is, with a gentle saddle-back in the middle? really? Or take the natural gas curve. Historically NatGas use wasn’t markedly increasing because the supply of the stuff was being met by demand (or if you will, vice-versa), and the price was fairly stable, and fairly comparable, therm-per-therm with other petrochemical sources of fuel. So if when it wasn’t substantially cheaper than coal, well … the coal-delivery-and-mining infrastructure was delivering vast quantities (previous paragraph), just fine. It took the invention of horizontal drilling and hydraulic seam ‘fracking’ (fracturing) to almost overnight release gadzooks-greater amounts of natural gas, pushing its price down in turn. Microeconomics at its best. The combination of price drop induced by the enormous uptick in supply, and the realization that there was a LOT (as in 100× more) in the ground that potentially could be tapped equally cheaply in the future, then caused — along with environmentalism — the power companies to reconsider coal-as-fuelstock. Sure enough, existing coal plants were piped, pressurized, and fired with natural gas, without changing most anything else. And there were no explosions, no calamities. The power continued to flow. The smoke-stacks didn’t have any need even for “scrubbing”, so the power produced was cheaper. But what CURVE predicted that? I could go on — but the next most egregious curve is the petroleum use curve. So, we’re to believe that in 2019, there is suddenly going to be a quashing of demand for petroleum, that it is going to stabilize, then drop, have a saddle minimum then … for some reason, rise again? Demographics, I guess? This seems to be pandering to the idea that there is a great revolution in electric-vehicle transport coming in the very near future, but not so great as to offset most petroleum use… following by saturation … and demographic growth thereafter in a saturated demand/consumption market. Sorry, but that narrative doesn’t hold sand, let alone water. And from the continuing unrelenting pressure of The Green Environment movement(s) on the population, CEOs and all the rest, higher demand as well for civilizational altruistic reasons. Great! What that means in turn is basically obvious: we will have ever more, and an ever greater fraction of cars, trucks and vehicles all-electric, in the future. It is essentially inevitable. The problems with charging-time (rate) will be solved technologically. The problems of range-between-refill-stations will be solved with cheaper, higher-capacity and simultaneously lighter weight batteries, motors, frames and the rest. So why the saddle and rise in petroleum? CERTAINLY NOT because of the chemical, or plastics, or pharmaceutical industries. Their use of petroleum refinery stream byproducts is tiny compared to what we use for fuels. Once the E-Vehicles-Which-Aren’t-A-Pain-At-Times mature, most-no-one will want conventional petrol-fueled cars, light trucks, utility vehicles. It is conceivable that long-haul freight trucks will continue to be diesel-powered, if for no other reason than their pair of 80 gallon tanks holds a LOT of interstate mileage-between-stops. Getting stuff across vast swathes of the country depends on that. So. These curves demonstrate duplicity. Politicization, and wishful thinking. I claim thus: if coal-use has declined, from natural-gas fracking revolution, then that revolution will continue, and coal-demand will continue to decline, the Orange Faced president’s intentions notwithstanding. I also claim that there will be a resurgence of nuclear power, as it becomes ever more obvious that as a baseline electric generation technology, it has no peers that are environmentally laudable. Our use of so-called renewable energy sources will continue to expand, but wisely … if we can keep our intentions from being coöpted entirely by the rah-rah environmentalists … wisely the increase in PV and wind energy will rise to the point of diminishing returns, and then stop. We are a capitalist-first country. Thus our much-maligned carbon footprint will continue to decline, even though our population with Malthusian detachment and certainty, continue to increase over time. If with no more than immigrants, perhaps, but increase it shall. Petroleum goes up later as exports increase. Projections are not predictions? 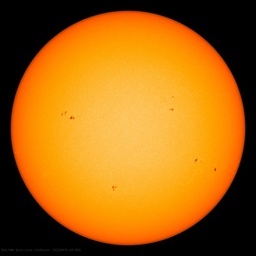 Why reaffirm the devious and diabolical AGW narrative? ‘Co2 emissions’ implies pollution and co2 is NOT pollution. And MORE co2 is better – or am I missing something? Why reaffirm the devious AGW narrative? “Co2 emissions’ implies pollution and co2 is not pollution. And MORE is better – or am I missing something? Is WUWT is a limited hangout? It would certainly answer my question and explain why Dr. Ball is the only contributor who exposes the tyrannical roots of the AGW fraud. SAD! “The only thing necessary for the triumph of evil is for good men to do nothing.” – Edmund Burke. Since the human contribution is only about four percent of the 4/100th of one percent that is the CO2 presence in the atmosphere why the fuss? This is a classic example of making a mountain out of a mole hill. Am I going color blind? Larry Hamlin, color legends used in the last figure are a bit confusing. Although yellow does not appear in the legends, there I see it on the chart. The red is not used, and green hues are so close, I cannot make what is what. This report is based on MODELS, and ALL CLIMATE MODELS are LIES! Every year since at least 1988, we’ve only had 10-12 years to “save the planet”. – only 10-12 years left to “save the planet”. Such “learning” vs “Friday schoolstrikes” – evenly matched opponents / partners.